Abortion has been legal in the United States since 1973 after the landmark Roe v Wade Supreme Court ruling. However, since the ruling and the Religious Right’s movement to dismantle the legality of it, there has been a steady assault on safe and legal abortion access over the past few decades. Most notably, since 2011, there have been over 400 abortion restrictions passed, which means Roe v Wade doesn’t necessarily have to be overturned for clinics to be shut down, waiting periods to be added, forced ultrasound and counseling to be sought by patients, and the added burden of having to travel many miles just to get to a clinic. When you sweep away the political and religious emphasis on this issue, what you are left with is stories of every day people with real life circumstances. All of which are nuanced and complex. Knowing that the majority of women who get abortions in America are already mothers, roughly 60%, and that even churchgoers get abortions at roughly the same rate as non-churchgoers, there has to be a better way to talk about this issue. 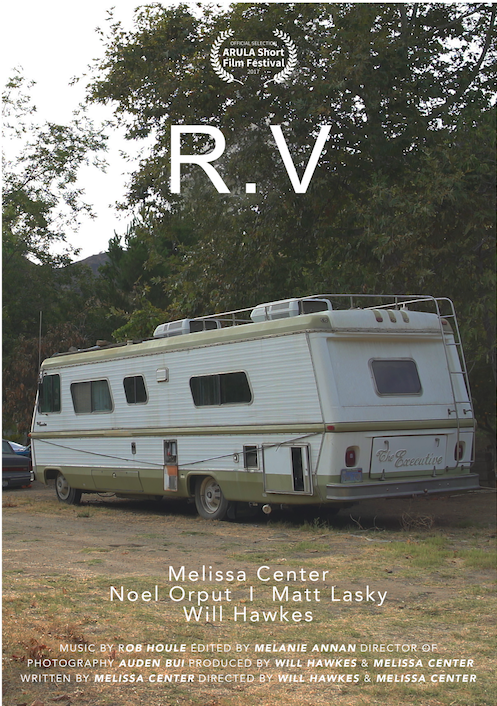 A new short film from writer/director/producer Melissa Center and co-director Will Hawkes titled ‘R.V.’ tells a powerful story of a woman (played by Melissa) seeking an abortion in an area where access is scarce. We don’t know anything about her political leaning or religious affiliation, we don’t know who she voted for or even her thoughts on abortion. All we know is she is getting one and are drawn into every ounce of her emotion throughout her experience. It is the type of abortion film we have been waiting for, where it is all about the individual at the center and her story. A reminder that we as a country focus so much on the political and moral argument, but forget the reality of the every day abortion experience. Facing a potential Supreme Court justice appointment who will allow the bench to lean further to the extreme right for at least another generation, there is the growing acknowledgement of safe and legal abortion access continuing to be decimated. What we see in ‘R.V.’ is the type of experience and setting more and more women will face as long as we keep ignoring the stories of women who remain silent for fear of judgement or shame. We spoke with both Melissa and Will about their timely and relevant film, why they felt it was necessary to make, and how they hope it will be a powerful force in our current political landscape. How did the idea for ‘R.V’ come about? Melissa Center: After the 2016 election I was shattered. As most people were doing, I was reading the news every day, and it was making me feel physically ill. Though I went to the Women’s March and made phone calls, truthfully I felt completely powerless – how easy could it be for the world as I know it to completely change? For the freedoms & rights of any/every marginalized group in America to quickly be decimated? As a woman, my thoughts naturally went to our personal freedoms, and of course, the right to choose. I asked myself, “OK. What could actually happen here. With the power he now has?” And my thoughts went to the Supreme Court and to Roe vs. Wade. And I started to dig. What would it actually look like if Roe vs. Wade was overturned? I read tales upon tales of really scary and unsafe abortions and I knew I had to tell a story and that could be my contribution. Around this time, Will & I had met to catch up. We’d discussed wanting to collaborate on something. Given his personal connection & desire to also make a difference, this felt like the perfect thing. Will Hawkes: I have three mothers, and women’s reproductive rights was a significant, vocal issue in the households I was raised in, so when Melissa approached me with the idea of making a film about abortion rights, I immediately jumped on board. Why was it important for you to tell this story, about this topic, right now? MC: Right now it is essential to tell this story. Since the election, our fears started to turn into reality as state by state our nation started to turn back the clock. Now, we stand to tip the scale even further, and for years to come with the potential confirmation of Judge Kavanaugh. We need people on either end of the debate to understand the reality of a world where women have no safe place to turn. WH: If Judge Brett Kavanaugh is confirmed by the Senate, we will have a remarkably conservative Supreme Court which could act as a rubber stamp for states enacting laws to remove a woman’s access to a safe, legal abortion. With so much discussion around abortion policy in America at the moment, especially in the Trump/Pence era, how do you hope ‘R.V’ will allow audiences to think deeper than political rhetoric? MC: ‘R.V’ is a human story. We purposefully told this story in a way that does not obviously lean in any direction, but depicts the harsh reality of a world where a woman has no safe options. It was my hope in making this film that a “pro-life” leaning individual might watch this and think twice. Maybe he watches this and sees his sister in that van. Would he still be so keen to restrict access to safe care? Empathy has always been my main incentive. WH: ‘R.V’ shows the process of a woman getting an unsafe abortion without proper medical support. Out of respect for the thousands of women forced to endure this every year, we tried to be as accurate as possible without commenting on her experience. I hope that when someone watches the film, they empathically connect to her experience in a human way that cuts through any rhetoric they may hear around the issue. 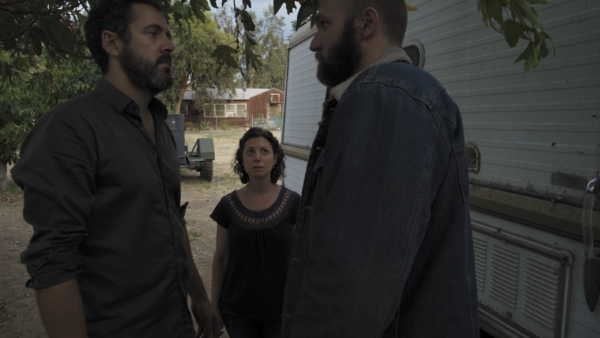 One of the most powerful aspects of your film is how you leave it up to the imagination of the viewer about the subject’s circumstance, her background and what brought her to the RV to get an abortion. Can you tell us why you chose to do this? MC: Yes! Originally I wrote a longer version of this that explained the backstory. We shot this abridged version out of necessity and then quickly realized it was perfect. I, personally, know her reason why. And it is legitimate. But truthfully, it’s no one else’s business but hers. And that’s the point. WH: Her circumstances shouldn’t matter because women of every demographic are having to go through this. What scares/concerns you most about the increasing Right-Wing, conservative push to overturn safe & legal abortion access? MC: What concerns me is it affects the most vulnerable population(s) in this country. Individuals who have nothing. And that is so sad to me. It feeds into the cycle of poverty and ultimately violence. There’s actually a study done someone recently told me about – there were statistics about a decrease in violence/crime in a major city. The reason didn’t have to do with police enforcement or drug trafficking. There was a direct correlation to abortion access. I thought that was so telling and amazing. WH: Supreme Court Judges are appointed for life. Judge Kavanaugh is 53 years old. That’s at least a 30 year threat to women’s reproductive rights. 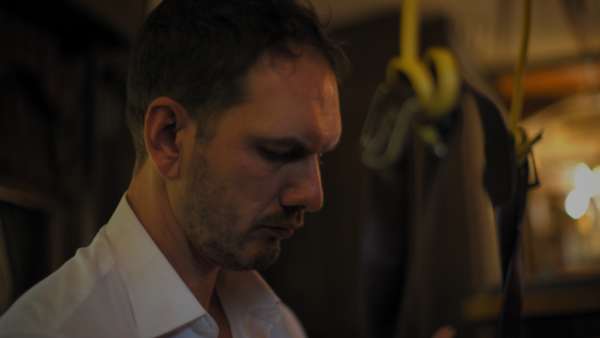 The film has been screening at a number of film festivals, but your ultimate aim would be for a wide audience reach. How do you plan on getting the film out to the masses? MC: We just launched the film on Facebook and YouTube. We thought it’s too important a time to limit the reach to just film festival audiences. We love film festival audiences, and there is something so important about seeing this film on a large screen, but we want those without access to festivals to have access to our film. Among the clickbait-y political and news media soundbites about abortion, there seems to be a lot of misinformation out there about abortion access. What can you say about this, and how you hope ‘R.V’ will open people’s eyes to the reality? MC: Here’s just one statistic of many: Women in certain counties of Montana, Wyoming, North Dakota, South Dakota, Nebraska, Kansas and Texas have to travel more than 180 miles to get to a clinic. 180 miles! Imagine this – You work a full-time job and can barely afford your expenses. You were raped by your boss. How can you afford to take off work or even ask to take off work to travel 180 miles to get to a clinic? WH: Because Roe v. Wade has not been fully overturned, people believe that all women have access to abortions and that is simply not true. States have enacted thousands of laws restricting women’s access to safe, legal abortions to the point where there are only two operating abortion clinics on Kentucky, one in Arkansas and one in Mississippi. If a teenage girl who needs to get an abortion and doesn’t have the support of her partner or family nor the money to reach the nearest hospital providing abortions – which could be 10 hours away – then she is being denied access to safe, reproductive care. 40% of minors having an abortion report that neither of their parents knew about the abortion (Guttmacher Institute) so this is happening right now. A lot. With the vacant Supreme Court seat to fill as well as the November mid-terms, how do you hope ‘R.V’ will made a difference among especially “single-issue” voters? MC: Of course we have high hopes that we can connect with decision-makers and influencers who can protect our interests with respect to the Supreme Court. We also realize this is a hefty mountain to climb. At the very least, and totally achievable, we hope ‘R.V’ will excite people to VOTE during the mid-terms for candidates who vocally support pro-choice legislation. WH: More voters identify as pro-choice than pro-life so if we can just get voters to show up for the midterm elections, then we can get legislatures in office who support women’s reproductive rights and stop this administration from filling the state and federal judiciary with conservative judges. If people want to find out more information about reproductive rights and watch the film, where can they go? MC: To learn about the film and watch it visit our website here. To connect with us personally or request a screening for your organization you can email us directly at thervshortfilm@gmail.com. You can also “Like” our Facebook Page and follow us on Twitter. Share the film on your social media platforms & register to vote!